If you follow me on SnapChat (@friediamn) then you know that my home AC went out and I am stuck in a hot house till the end of the week….help~!…. So I have been craving lemon, limes, watermelon…anything refreshing basically. 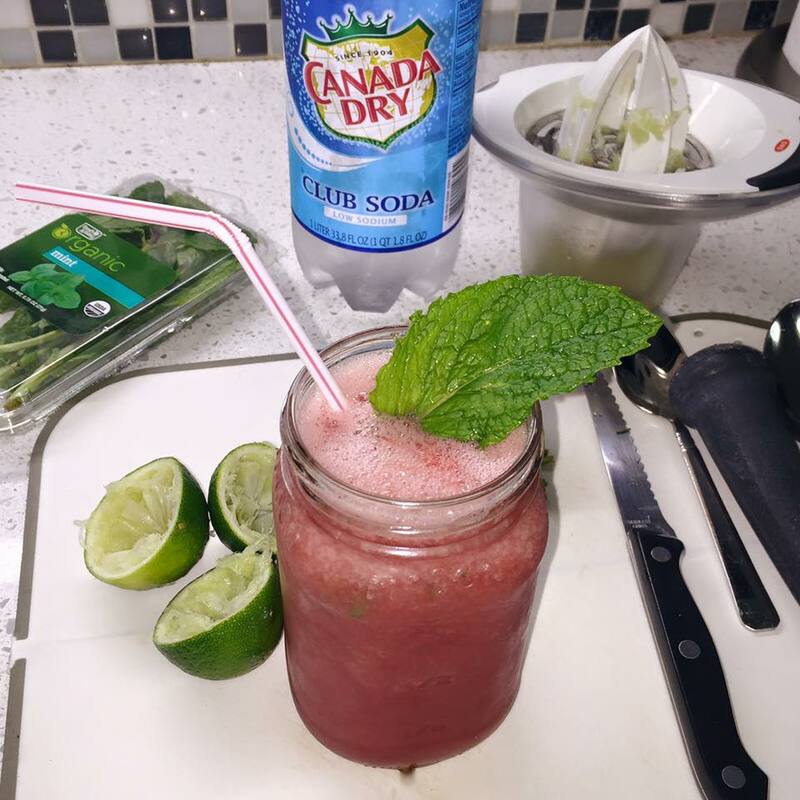 I am a big mojito fan and after I picked up a juicy watermelon, I decided to try to make a watermelon mojito! Most of the recipes suggest you to blend the watermelon and place in ice cube tray to freeze, but I couldn’t wait. Here is what I did for two glasses! Place watermelon, club soda, lime juice, ice and rum in blender. Blend until smooth. In your cup place the sugar and mint leaves, then muddle to get the oils out without crushing the leaves. Pour the blended mixture into the glass and mix with a straw or mixer. Garnish with extra mint leaves and serve!